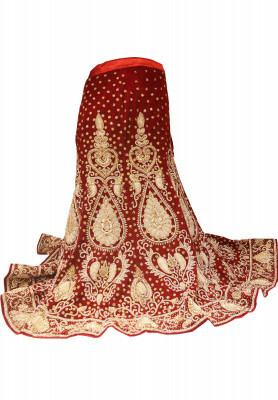 Maroon colored Indian Lehenga made of velvet fabric. 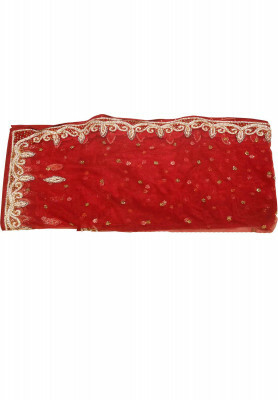 Comes with all over diamond stone, net, meena and spring work. 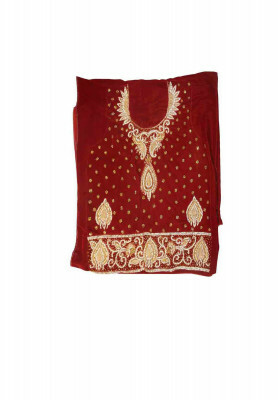 Nice golden and red color combination to make it a brilliant design. Home delivery available.